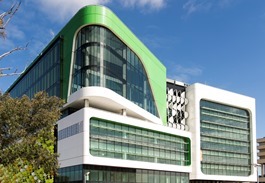 Part of the QEII Medical Centre (external site), PCH is located at the corner of Winthrop Avenue and Monash Avenue in Nedlands. The hospital’s street address is 15 Hospital Avenue, Nedlands – see map (external site). Nearby landmarks include Sir Charles Gairdner Hospital, the J Robin Warren Library and the south-west corner of Kings Park. See the QEII Medical Centre site map for more details. Please see the For Patients and Visitors section of this website for information on parking (including the PCH basement car park) and other transport options. Where is my clinic or ward? Please refer to the hospital maps. As well as the level/floor of your service, it may also be useful to note the nearest lift (yellow, pink or green). Wayfinding kiosks and helpful staff or volunteers are also available at PCH to help with directions. How does PCH compare to PMH? All specialist services provided at PMH will be available at PCH. Many areas will also be expanded at the new hospital, including an increased neonatal and oncology capacity, an expanded Surgical Day Stay Unit, and the introduction of a High-Dependency Unit alongside the Intensive Care Unit. PMH’s final patients will transfer to PCH on 10 June 2018. After this, the Department of Health will manage the clinical decommissioning of PMH, which is expected to take approximately 14 weeks. Responsibility for the site will then transfer to the Minister for Lands. LandCorp and the Metropolitan Redevelopment Authority are developing plans for the ‘Subi East’ precinct (external site), which includes the PMH site and other nearby landmarks such as Subiaco Oval.